It’s officially Fall in Toronto – the days are shorter, the evenings are cooler, and the leaves are slowly changing to their golden hue. While we’re sad to bid summer adieu, there’s plenty about Fall to look forward to. 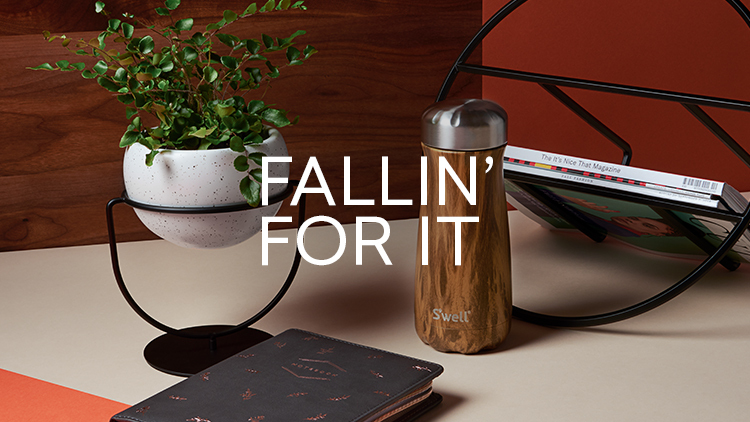 Here’s a selection of products from around Manulife Centre that we’re totally fallin’ for, and will help you embrace the season. Whether you’re back to school or back to work, Fall is a time to refocus after the excitement of summer. 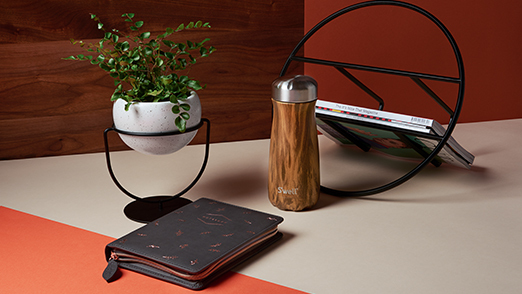 With stylish desk accessories from Nirvana Home Collection and Indigo, this Fall is sure to be your most productive season yet. While we think of Summer as the time for fresh produce, there’s no denying that Fall is a time of bountiful harvest. Whether you’re stocking up on snacks for game day, preparing for Thanksgiving or picking up treats for Halloween, the best that Fall has to offer can be found at Bloor Street Market and the LCBO. 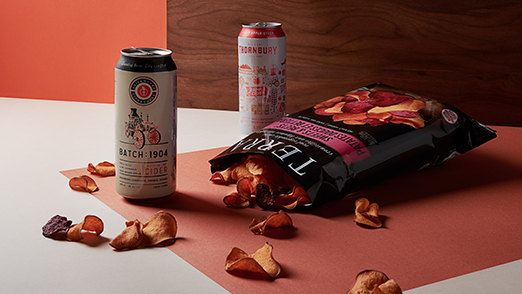 We personally love the autumnal pairing of sweet potato chips and craft cider made from fresh Ontario apples – is there anything better? While the cooler weather means some of our favourite outdoor activities are off the table, what it also means is that we can spend more time doing the things we love to do indoors. 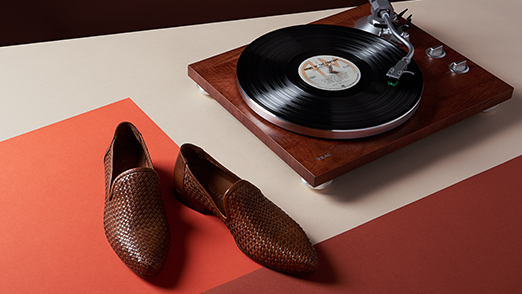 For us that means putting on our best Ron White loafers, putting our favourite record on our turntable from Bay Bloor Radio and lounging in style. If there’s one thing we love about Fall, it’s the fashion. 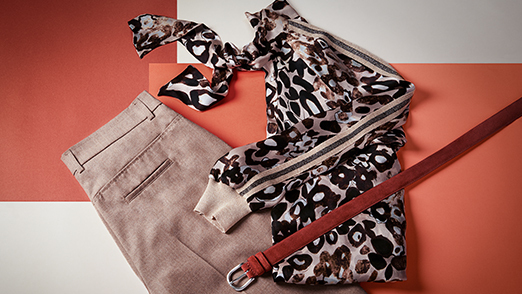 The warm tones, bold prints and classic styling that just scream “Fall” are all in store at Petra Karthaus. Whether worn to the office or out in Yorkville, this look will turn heads and leave you feeling chic. While summer reads are all about the light and easy, in Fall we love to dive deeper into bigger topics and longer tomes. 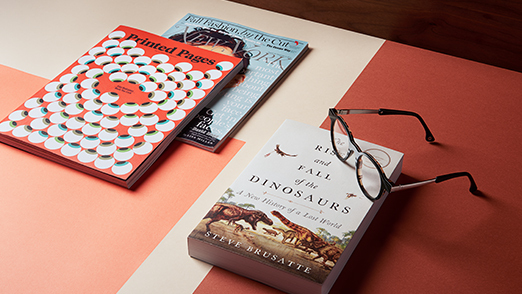 We love the selection of non-fiction books and magazines at Indigo to satisfy this intellectual itch. If you’re having trouble reading the often smaller font, be sure to book an appointment at Toronto Eye Care and get a new pair of stylish specs.